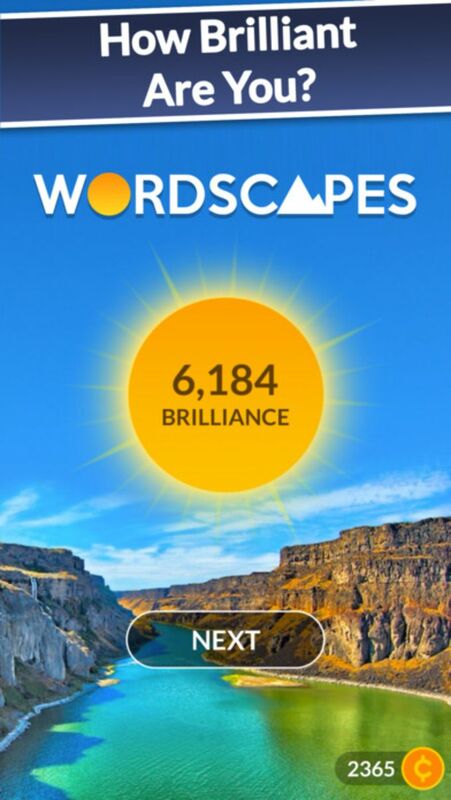 Wordscapes is a free mobile crossword game developed by PeopleFun that users of all ages can enjoy. It will make you rack your brains out as the levels get more challenging and words become more difficult to form. It is about time to get the gears of your mind working, don’t you think? The game starts off really easy. Wordscapes will give you 3-4 letter words to figure out during the first few levels. Consider it a warm-up if you will but do not underestimate how hard and complicated the words will get as you progress. There is also a daily puzzle you will need to solve. It provides a different level of difficulty because it will ask you to form words in a particular order in the crossword. Wordscapes proves to be an excellent brain exercise because of its tricky letter combinations, which can form many possible words. This is the perfect game where you can test the extent of your vocabulary and also expand it. To give you a taste of Wordscapes, how many words do you think you can make with E D R D E E D N? Having a hard time? If you happen to get stuck, there is nothing to fear! Wordscapes allows you to buy hints using the coins you have earned from the previous puzzles you have successfully completed. You will also receive coins when you are able to form the bonus words that are not part of the main crossword puzzle. Wordscapes is a very entertaining and educational game that can be played by everyone at any time and place. Kids and adults alike can find this game enjoyable.The background landscapes of the game are colorful and pleasing to the eyes and you get to unlock more of them when you clear a level. Its calming music also helps you focus and think properly. What do you think about Wordscapes? Do you recommend it? Why?